Sterling silver and watermelon tourmaline bracelet with a vintage glass grapes charm. Copper lobster clasp closure. 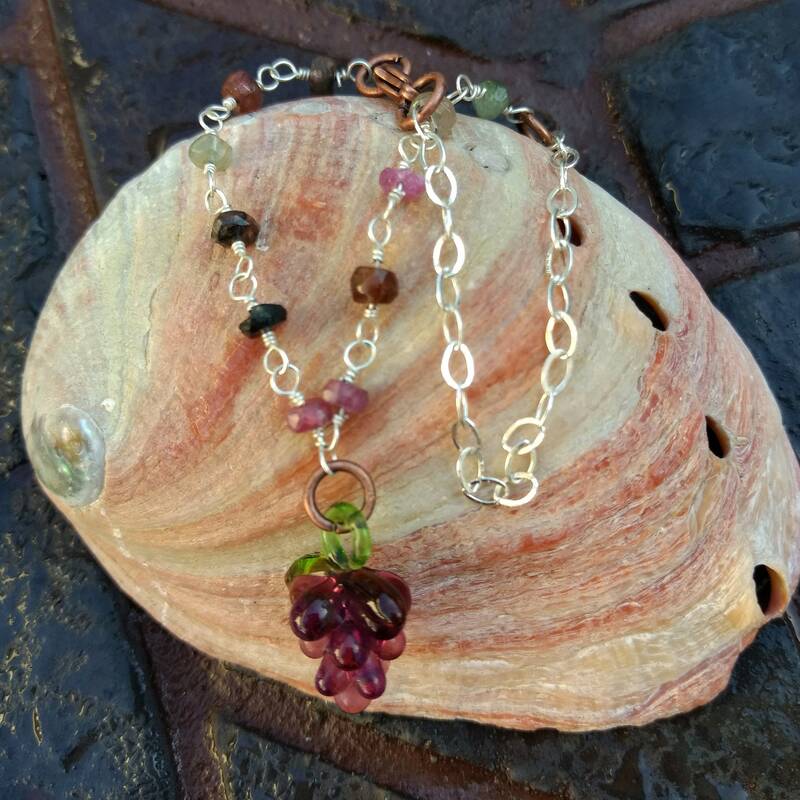 A great bracelet for any wine lover!